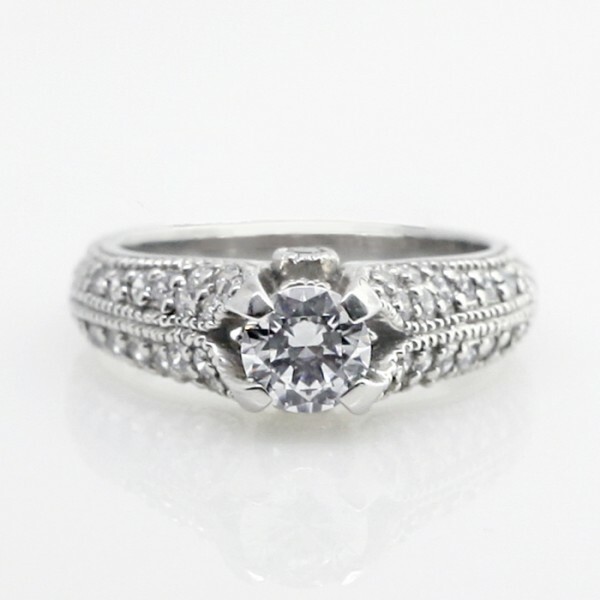 Vintage-Style Ring with 0.46 carat Round Brilliant Center - Palladium - Ring Size 4.0 was added to your cart. This vintage inspired ring is a doll! The sparkling 0.46 carat Round Brilliant cut Contemporary Nexus Diamond center stone is enhanced by the 38 accent stones and intricate metal detailing. 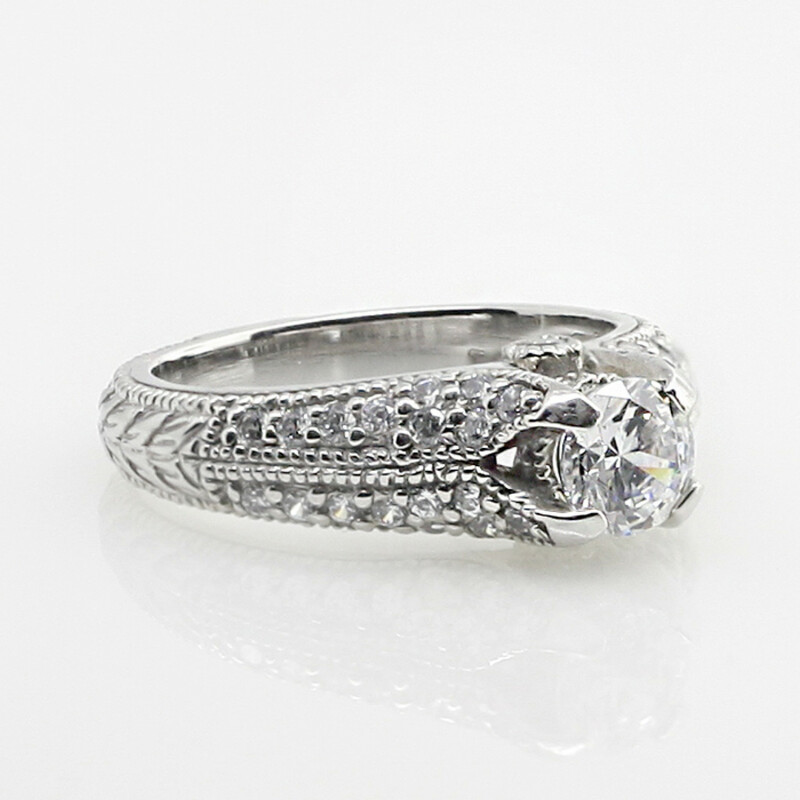 Center stone: 0.46 carat Round Brilliant Nexus Diamond, 0.63 total carat weight.